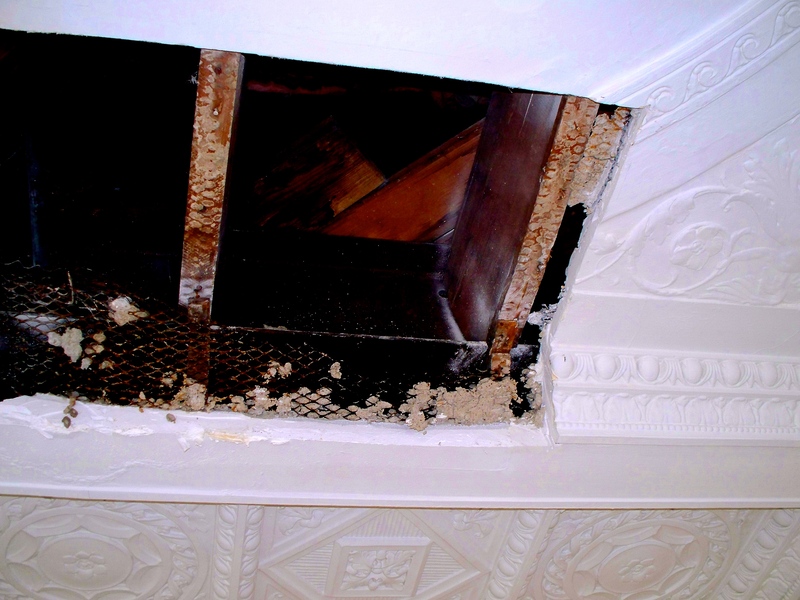 Damaged and falling plaster at Moraine Farm provided Oren with plenty of work to do. 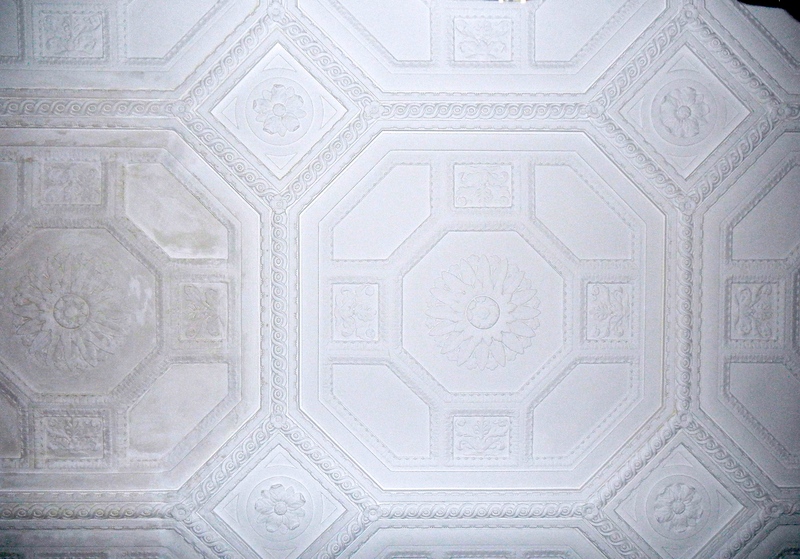 Oren replaced sections of cracked and sagging plaster, and recoated damaged decorative motifs in the reception area. 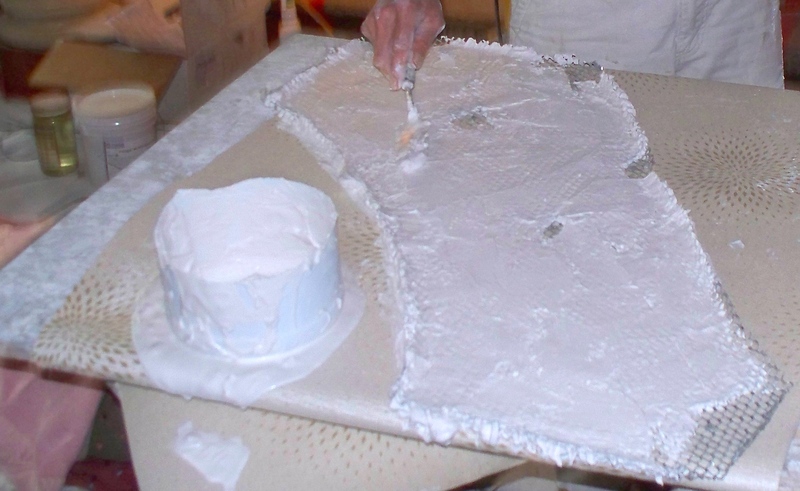 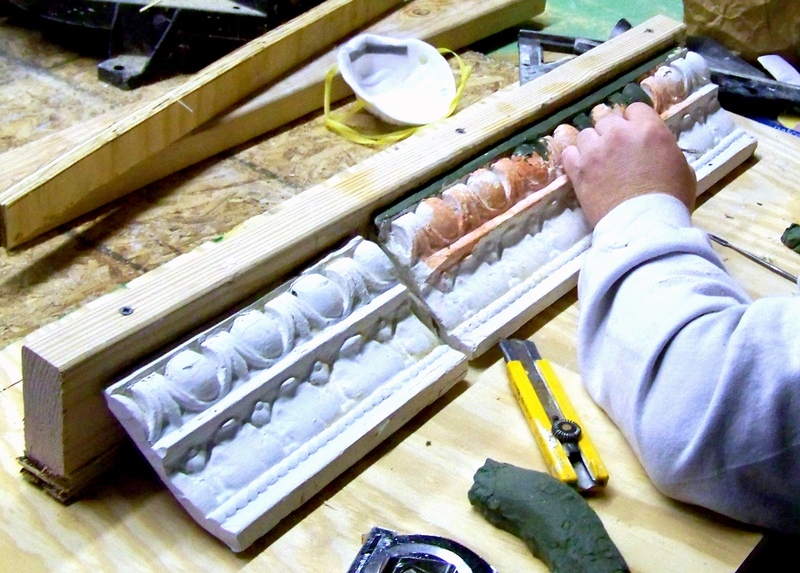 Made molds to cast and install replacement details in the breakfast room. 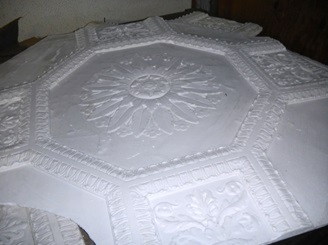 Replaced sections of ornamental plaster with matching design and prefabricated patterns in the dining room. 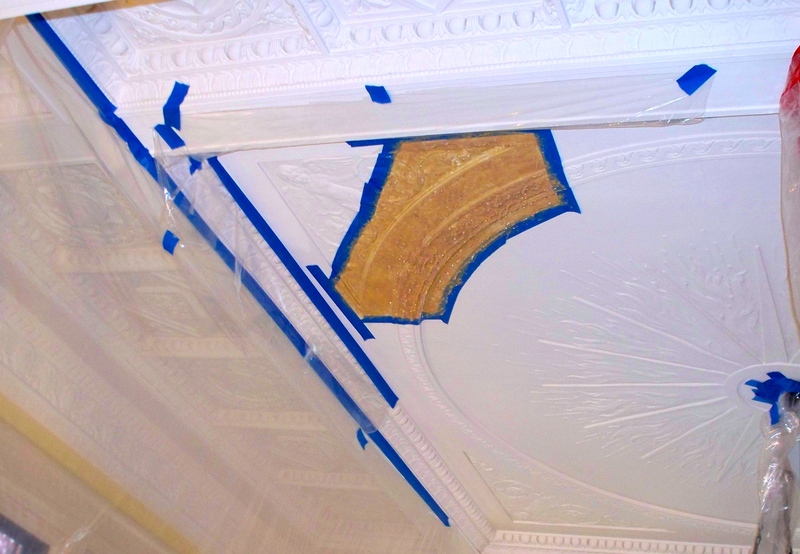 Patched water damage to ceilings in the vestibule, library, den, breakfast room, dining room, and the on the second floor hall ceiling. Patched exterior stucco on the Lotosland terrace, outside the library, and outside of room 1012.